Your student ID card is used in the library, for printing and photocopying, for building access and as ID during exams. 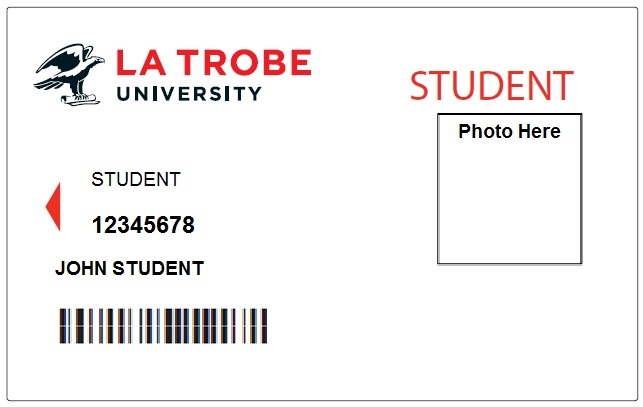 If you are a new student you can order your student ID card online the day after you accept your offer to study at La Trobe. If you are a distance education student, please complete this form to order your card. If your card has been lost or stolen, email cardaccess@latrobe.edu.au with your full name and student ID number to cancel the card. You can then order a replacement. Sydney students please note: If you require a replacement Student ID Card please see Reception. A replacement fee of $15 applies. Lost or damaged cards: Order a replacement via our online payment system. Stolen cards: Visit your nearest Help Zone with a copy of the police report for a free replacement card. Expired cards: Visit your nearest Help Zone with the expired card for a free replacement. La Trobe University respects the privacy of your personal information. We will collect and record personal information about you for identification purposes (e.g. class lists). For this purpose, we will use this information and will not disclose this information to another party without your consent unless otherwise authorised by law. If your personal information is not provided to us then we may not be able to provide the product or service to you. You may have the right to access the personal information we hold about you subject to any exemptions in relevant laws, by contacting ASK La Trobe. For more information about privacy visit the Student information and privacy.